Since we're a company called FUN, we tend to love surprises. Surprise parties? We love 'em! We have at least 3 surprise parties a year for varying reasons. We're starting to think no one is even surprised by them anymore, but oh well, we'll just keep having them. Also, feel free to give us presents at any time. The joy felt when presented with a mystery box wrapped in flashy paper is indescribable. 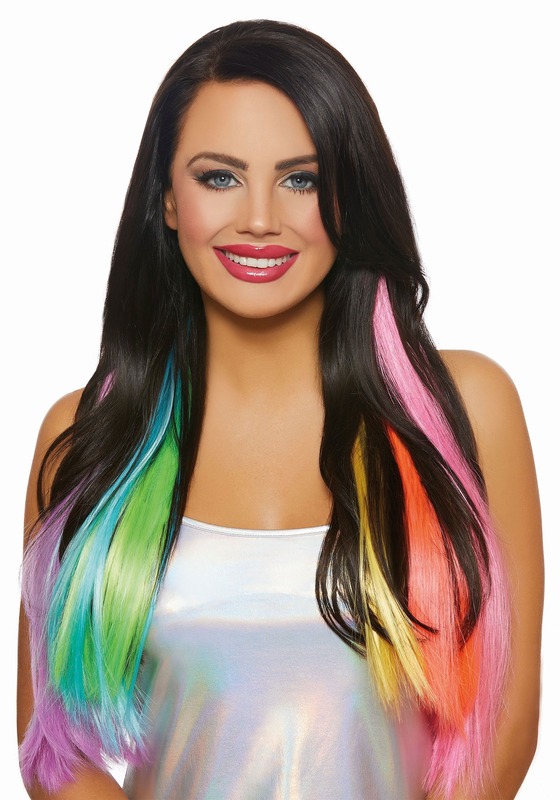 If you also love surprise parties, presents, blind bags, and life's other small blessings that leave you feeling startled then these neon rainbow extensions are for you. Rays of eye-catching colors poke through your natural hair to create a trendy peekaboo effect. It's the perfect non-commitment hairstyle for ladies who love surprises. Clip 'em in and go! You'll receive 3 individual pieces of wavy hair extensions in a rainbow of prismatic colors. 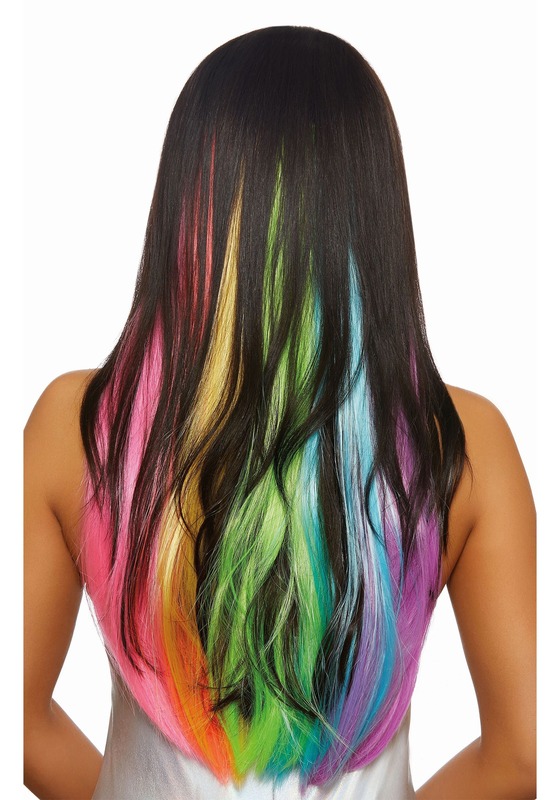 Hot pink, orange, yellow, green, blue, and purple synthetic strands peek out from your natural locks. This hair accessory looks hip and stylish with all hair colors, textures, and lengths. We recommend wearing these extensions whenever you're in need of a playful makeover when attending a concert or festival. Intensify any unicorn or sprite with this magical product!